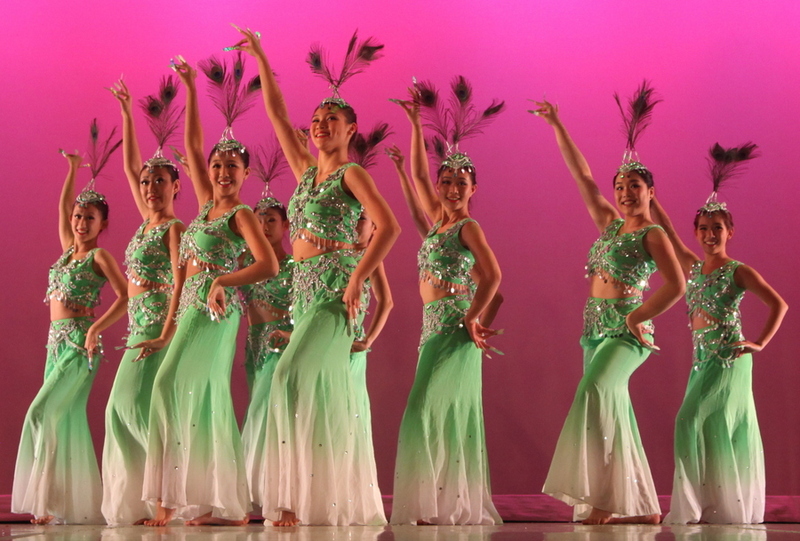 In the evening of Dec. 2, the “2012 Acton Chinese Music Night” bring splendid music and dances by the Angel Dance Company to the full-packed Acton-Boxborough Regional High School (ABRHS) auditorium. This event was presented jointly by the Acton Chinese Language School (ACLS), the Angel Dance Company, the Town of Acton Recreation Department, and the Acton-Boxborough Cultural Council. The performance of the night was consisted of a trilogy of themes: “Ancient Grace of the Dragon Heritage”, “Brilliant Colors of the Minority Regions” and “A Song Dedicated to you”.“The girls’ performance was splendid! I have been to every one of the Acton Chinese Music Nights, and I believe this was the most magnificent yet. Bill agreed with me on this, as did several people in the audience whose comments I overheard,” said Dr. Virginia Taylor, an Acton resident and volunteer for the Acton Chinese Music Night. Directed by Ke ke, founder of the Angel Dance Company, and highlighted by the guest artists, Guzheng (Chinese zither) musician Hui Weng and award-winning dancer Yifeng Liu, over 100 local dancers from the Angel Dance Company and Angel Dance School presented ancient Chinese cultural elements through modern dance and music performances. This fantastic performance was a huge success when Angel Dance Company performed at John Hancock in April 2012. Ke Ke told reporter that Angel Dance Company currently has over 200 students. It will present its annual Spring Festival dance show at Mass Bay College in Wellesley, Mass on Jan. 26. Two performances of the 7th annual dance show Oriental Colors will be staged on March 24 and March 30 at Regis College, Weston, Mass.In addition, Angel Dance School will host a national Chinese dance contest at Mass Bay College on May 26, and present a large summer dance show on June 15. These events will certainly keep Ke Ke and her students busy over the next few months.